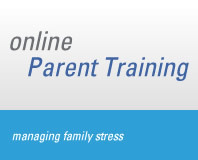 Welcome to Online Parent Family Stress Management Training! As a guest you can read the first sides of module 1. After the log in all contents are accessible. We are glad that you are interested in Online Parent Training. It will take you a maximum of 5 minutes to fulfill all necessary procedures and you will receive free and unlimited access to Online Parent Training resource! What should my user name resemble? Write the name by which you would like to be addressed at Online Parent Training. If you would like to guarantee your anonymity it is better to use your first name, initials or an invented name. To which e-mail address you would like information to be sent? To participate in Online Parent Training indicate your valid e-mail address. Important information as links for the activation of your account will be sent to your e-mail address.. Note: Your e-mail address will be treated with utmost confidentiality and used only in connection with the Online Parent Training. Please choose a password that you will use for the application on the website. Please give the following personal information. The information provided by you will help us to organize optimum Online-Training for the group. Please write the code, which you find in the picture, in the text field. This security procedure prevents unwanted registrations by unwanted computer programs (viruses). Please take into account that Online Parent Training does not provide any therapy services. In the case of serious problems within the family or with parental relations we recommend you see a specialist in your area. i.e. a family or marriage counselor). I have read the liability exemption (disclaimer) and accept it. Do we experience too much stress in our family?